Pancakes are a delicious treat breakfast in our home. One morning my husband put mini marshmallows in the kids pancakes. 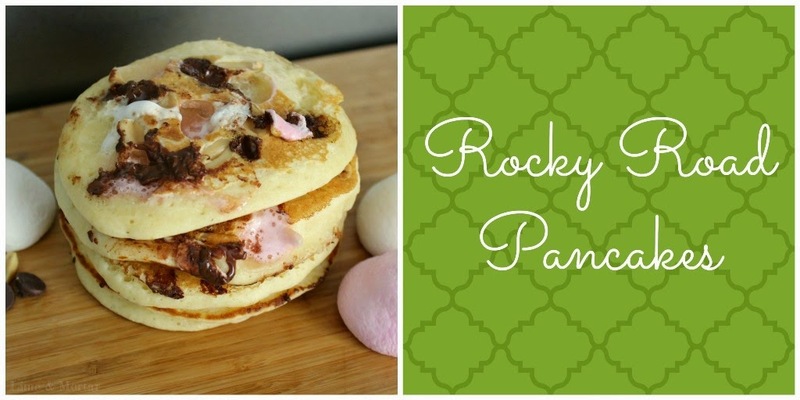 This got my mind ticking so I added choc chips and peanuts to create rocky road pancakes. My son loves to add jam to his after which completes rocky road taste if you like berry in yours. These are sugar overload but fantastic as a treat or dessert. 1) Place all ingredients into a bowl or jug that mixture can be poured from. 6) Repeat step 3-5 until all the mixture has been used. Yumbo! 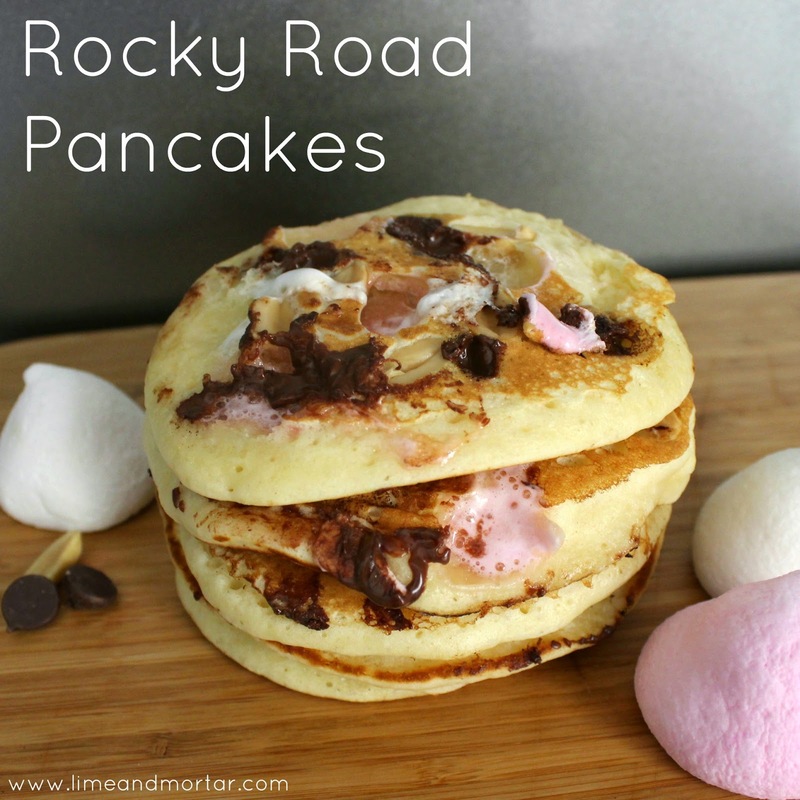 Eating these would be like taking a one way ticket to Pancake Heaven! Genius! Drooling. Not sure I could eat these myself but setting aside your recipe to include for our next birthday breakfast/brunch. Yum! I think the kids would love these. Now this I had to see, we make (scarp that) I make picklets every Sunday and I think my kids would love this... And me just quietly! YES PLEASE! Any excuse to have chocolate and marshmallows. Delish!